If you’ve been keeping up with my travels, you may have seen my previous posts visiting the Lake District, Loch Lomond and Glen Coe. After leaving the Glen Coe area, we made our way north east, through Fort William, towards Isle of Skye. 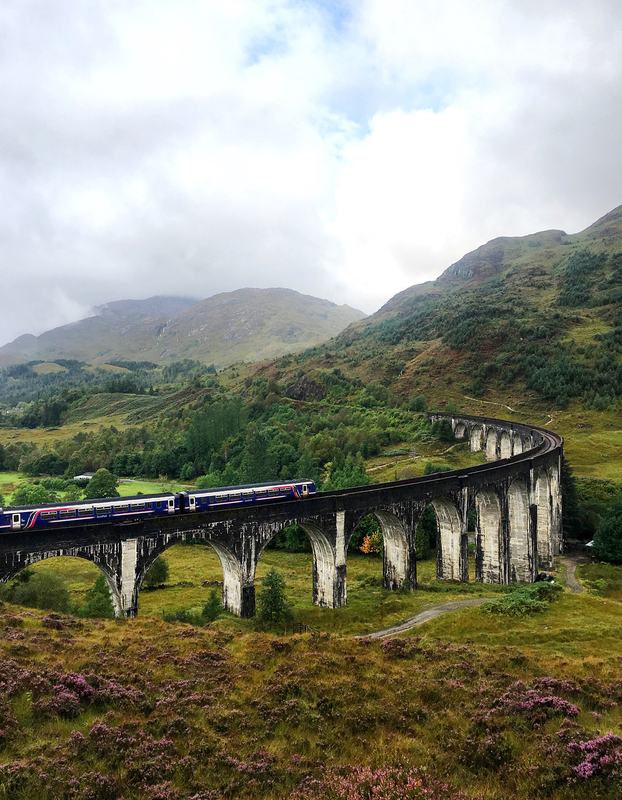 On route to the ferry port at Mallaig, we stopped off at Glenfinnan Viaduct, famous for being featured in many Harry Potter films. From the car park at the bottom of the viaduct, the signs tell you to head to the left of the viaduct for the perfect shot, however you can gain a much better photo of the train line, heather covered hills and out to see from the right hand side. To do this we followed instructions on Trip Advisor from others who had made the trip before. As we crossed under the viaduct, we made our way up a fairly steep dirt track and then clambered across the heather until we found a safe spot to stop. It was a little off the beaten track, but the view didn’t disappoint and we managed to catch a train as it passed. We also had the whole area to ourselves. 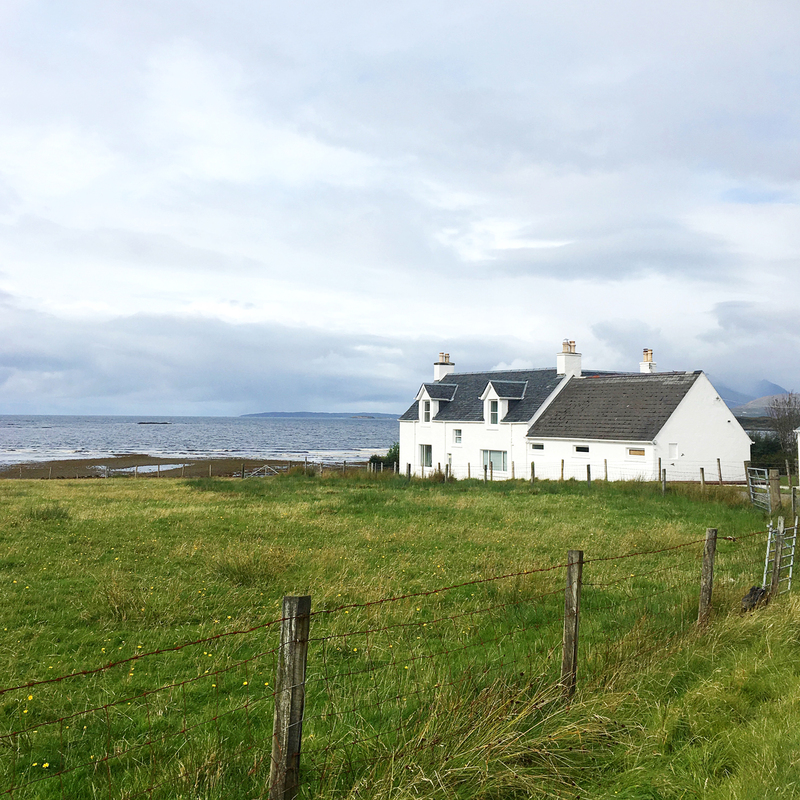 Further on towards Mallaig, you drive past Arisaig and a number of wonderful white sand beaches. Up here on the very edge of the coast, the sea is blue, the trees are green and it feels like you could be on a beach in the Mediterranean. It’s really magical and although the weather was cool it felt so relaxing to walk across the sand. 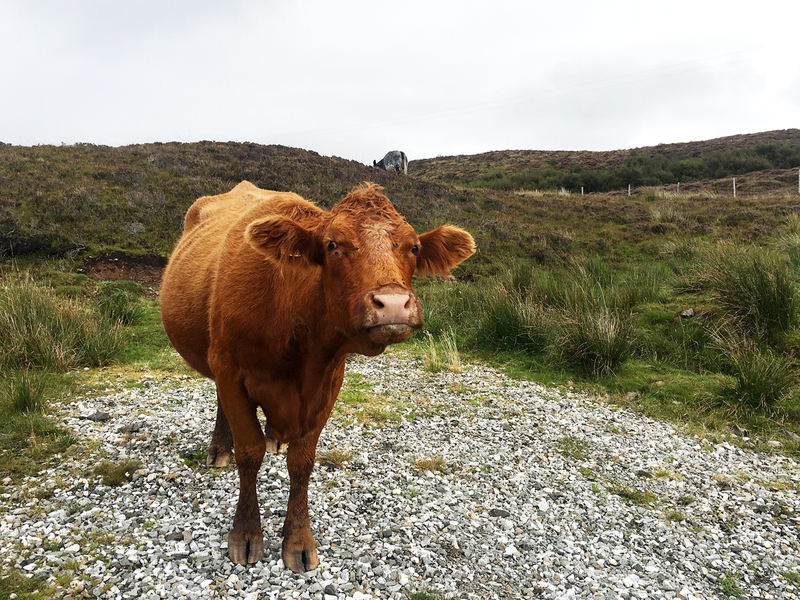 Upon departing the ferry at Armadale, we had about an hour to kill, before enjoying a Michelin Star lunch at Kinloch Lodge, so we decided to take the scenic route, traveling across the hills, around the jagged coastline of Skye. 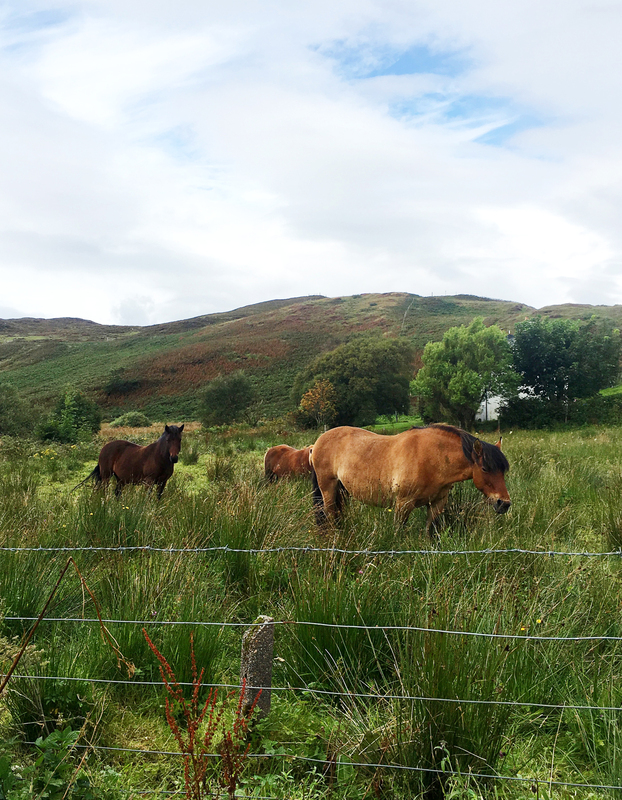 Here we saw sheep, goats, cows and horses, roaming free alongside the roads. Pretty white cottages adorned the cliffs and pebble beaches appeared around each corner. The heather here was more purple than we’d seen it before and the landscape was barren of trees. It was like another world. Little did we know at this point, that it would continue to get better as we saw more of Skye. 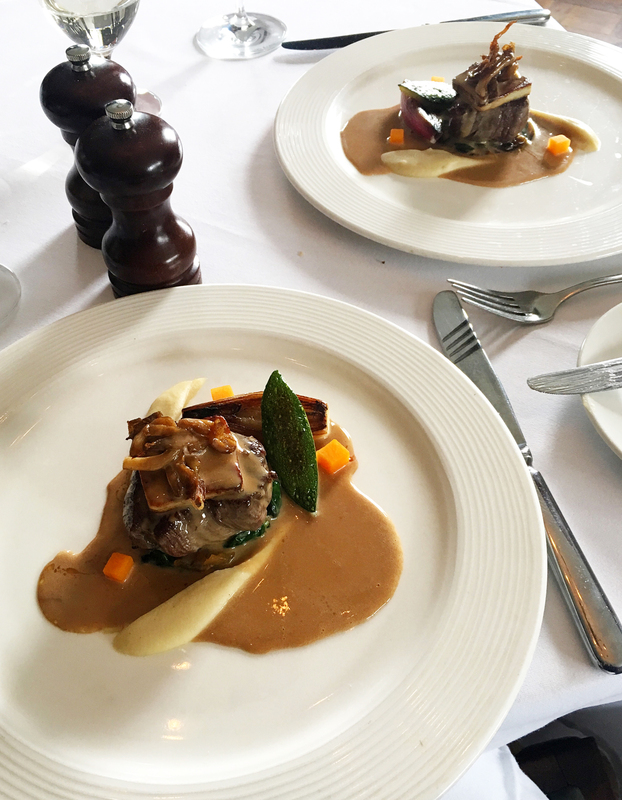 At Kinloch Lodge we were treated to a five course Michelin Star lunch, tasting some of the finest ingredients Skye, and the rest of Scotland have to offer. The Lodge was exquisitely decorated with antique furniture, oversized rugs and roaring fires. Located in beautiful grounds, the view from the drawing room was stunning, as we finished our meal with a cappuccino watching the clouds roll in. 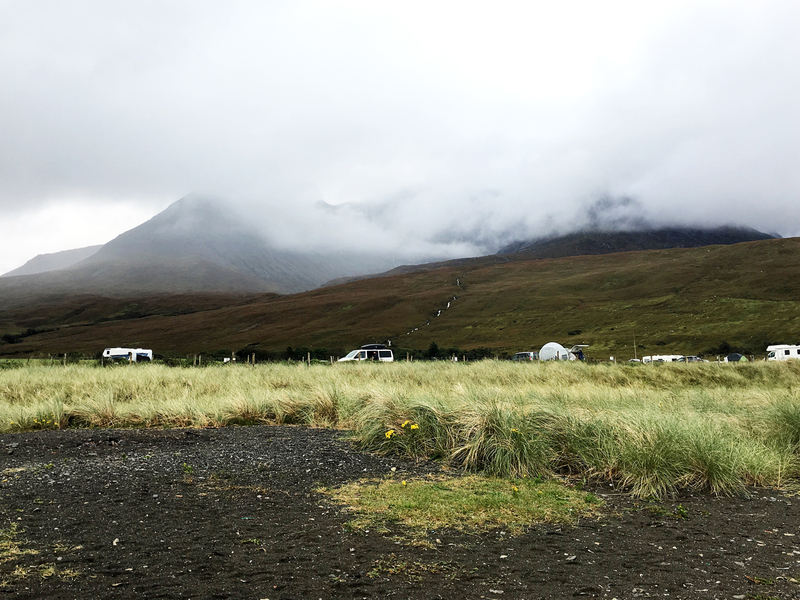 That afternoon we made our way to Glenbrittle Campsite to set up our tent for the evening. This campsite is very special. 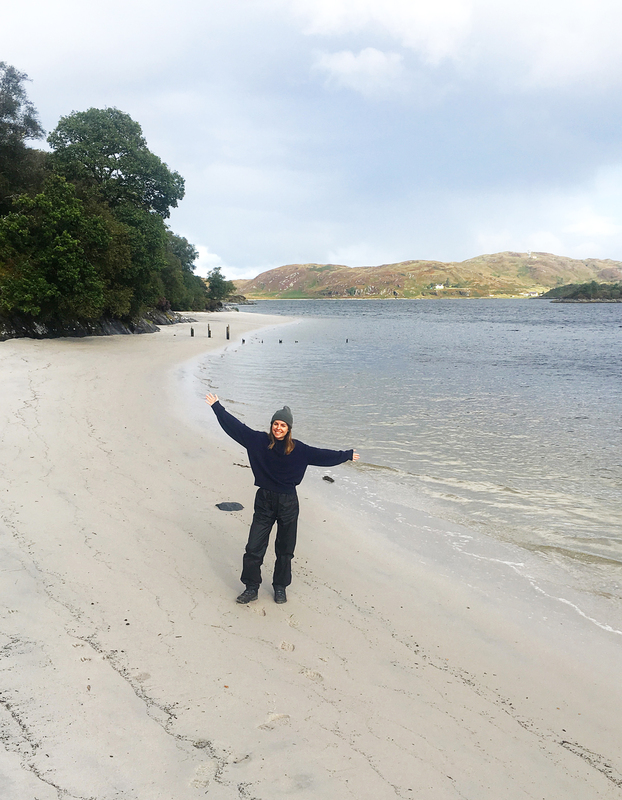 Situated over 15 miles from the nearest large road (there’s only one on Skye), it’s extremely remote, and lies directly on the edge of the beach. We pitched our tent in such a way, that we could sit inside, with the door open, over looking the black sand beach and watch the waves lap the shore. This was a real ‘pinch me’ moment. The weather was dark and moody that evening and we could watch the low cloud roll in over the top of the hills around the campsite, creating an eerie magical atmosphere. The next morning we set off early to check out the Fairy Pools, that are just a couple of miles back towards the main road, from Glenbrittle. This is one of the most popular attractions on Skye, and even arriving at 10am, we were met with a carpark full of cars and what seemed like hundreds of people trekking up into the hills to catch a glimpse of this magical sight. Photos online made the Fairy Pools look magical, but I was sceptical if they would live up to this expectation in person. However, I couldn’t have been more wrong. Despite the tens of people, the pools of water cascading down from the mountains, is phenomenal. The water is crystal clear, the rocks are surrounded with heather and delicate flowers, and the hills roll on for miles around. I will warn you that there were a number of midges around this area, which we had to keep swatting away, but they didn’t distract from the incredible sights. 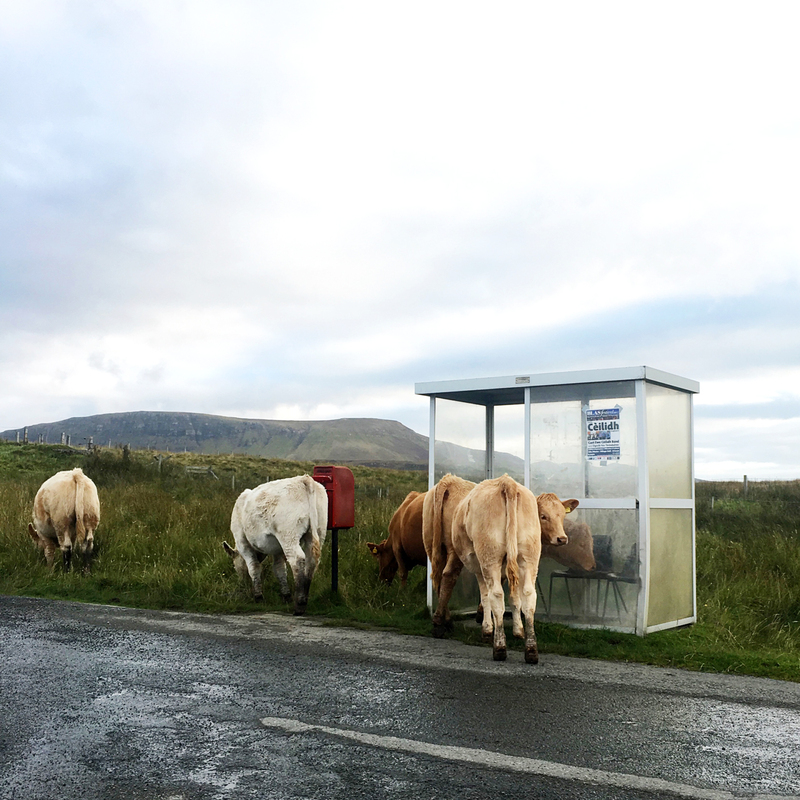 This was definitely one of our favourite moments on Skye. My photos don’t do it justice but hopefully they give you a sense of the beauty. 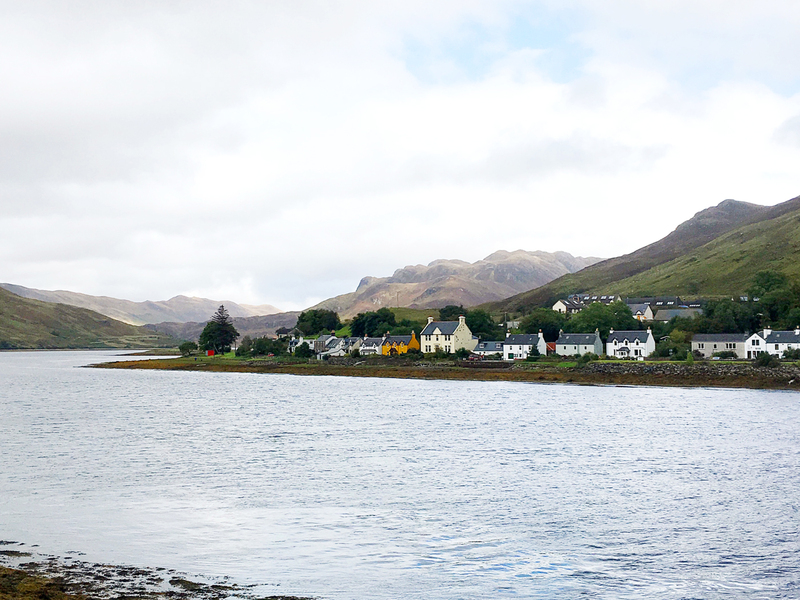 Another highlight of our two days on Skye, was a tour of the Talisker whisky distillery. Not being a huge fan of whisky before visiting Scotland (blasphemy, I know! ), it was interesting to see how Scottish whisky is made, and I don’t know whether it was the fact we spent an hour learning about Talisker, but we sipped on their world famous whisky at the end, I actually enjoyed it. 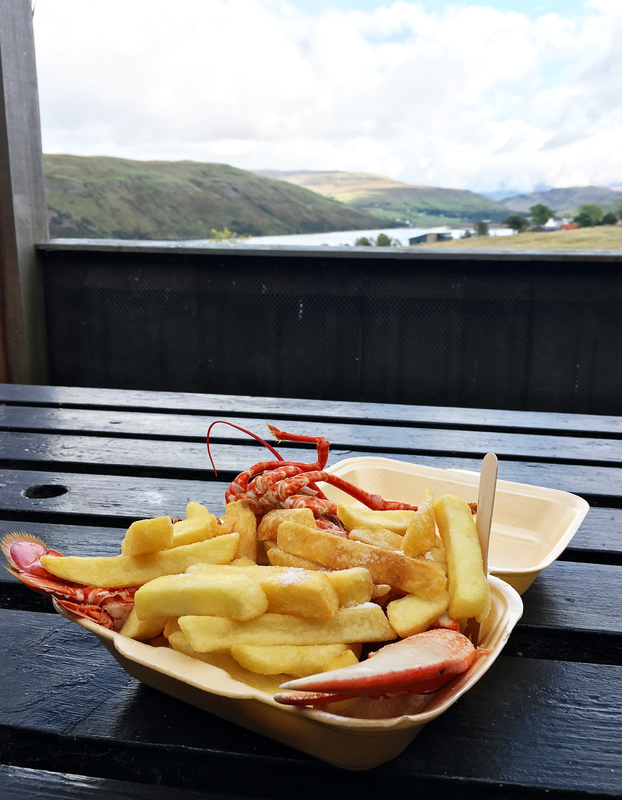 Closeby to Talisker Distillery is a small farm shop, called The Oyster Shed, selling a range of seafood to eat in and takeaway. This little place is great, serving up the freshest seafood and good prices. However, it’s mentioned in just about every Scottish book and website, and gets extremely busy. The carpark is tiny, so I’d recommend walking up the hill from the Taliskery Distillery carpark, although it’s steep. I enjoyed half a lobster with chips, and Stew opted for a taster box of just about everything on the menu! There’s a small seating area outside, overlooking Loch Harport, and the Shed also sells a range of pates, jams, crackers and more to buy as gifts or to enjoy at your campsite that evening. 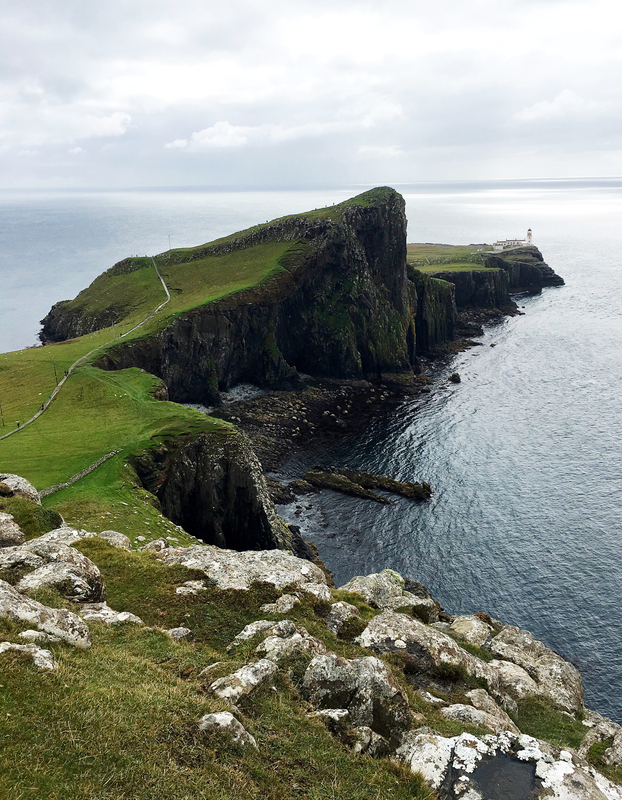 From here we decided to drive to Neist Point, which is another sight on Skye, depicted as a ‘must see’. The lighthouse here is on a beautiful stretch of coast line, with fantastic dark cliffs and luscious green grass. However, personally I wouldn’t describe it as a ‘must see’, only for the reason that it is miles away from anything else. The roads on Skye are very narrow and it takes at least an hour to get from one point to another. Unfortunately because we only had two days on Skye, we tried to fit it all in, and Neist Point really stretched us. Really you could do with a whole afternoon to get there, walk across the cliffs out to the lighthouse, and back. If we had been stopping for longer, we certainly would’ve made more out of the drive here. However, if like us you are only spending a couple of days on Skye, I think you could miss it. 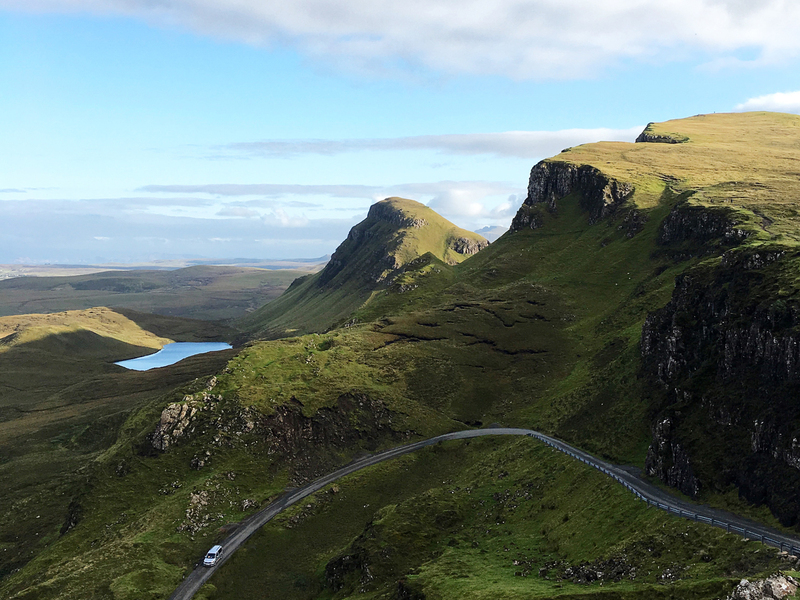 Instead, Quiraing in the very north west of the island, is absolutely worth a visit. The landscape here is honestly out of this world. The hills are cut in such a jagged way, that it feels like you’re at the edge of the world. The views from up here were breathtaking. The scale magnitude of the view from the top, is just not translatable in a photo. You have to see it with your own eyes! This was a magnet for midges again, but they seemed to linger around the car park, preying on tourists. As soon as we were out on top of the cliffs, they disappeared and we could relax, take a seat and let it all sink in. It was honestly the most magical part of our whole trip. This and the fairy pools are my top two! Finally, as we made our way to our next port of call, leaving Skye behind us, we stopped off at Eilean Donan Castle to get a glimpse of this majestic (and Insta famous) Scottish castle. Along the way we also popped by Portree, which is a beautiful town on Skye but unfortunately the heavens opened whilst we were there and we couldn’t get a single snap. But it’s a pretty seaside town with pastel coloured houses and cute coffee shops. 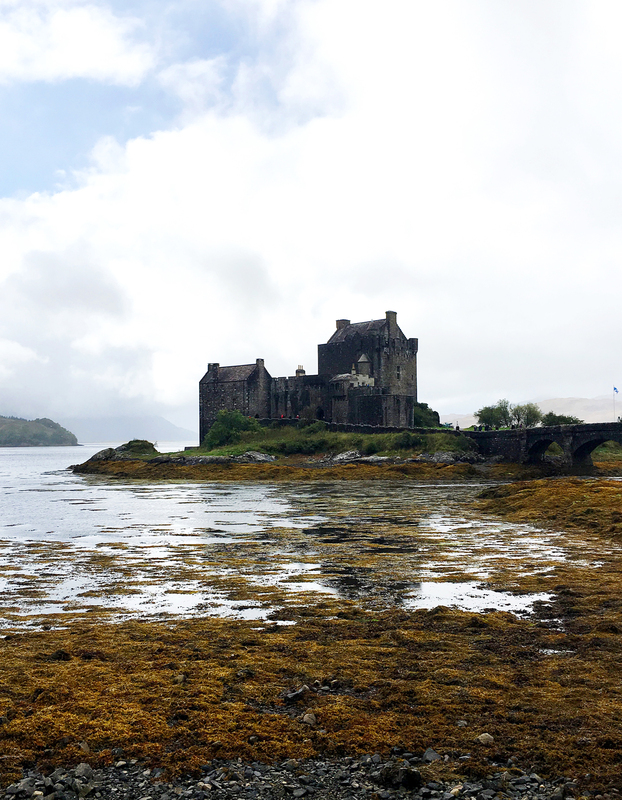 Luckily, as we approached Eilean Donan Castle, the skies cleared and we were able to get out of the car. 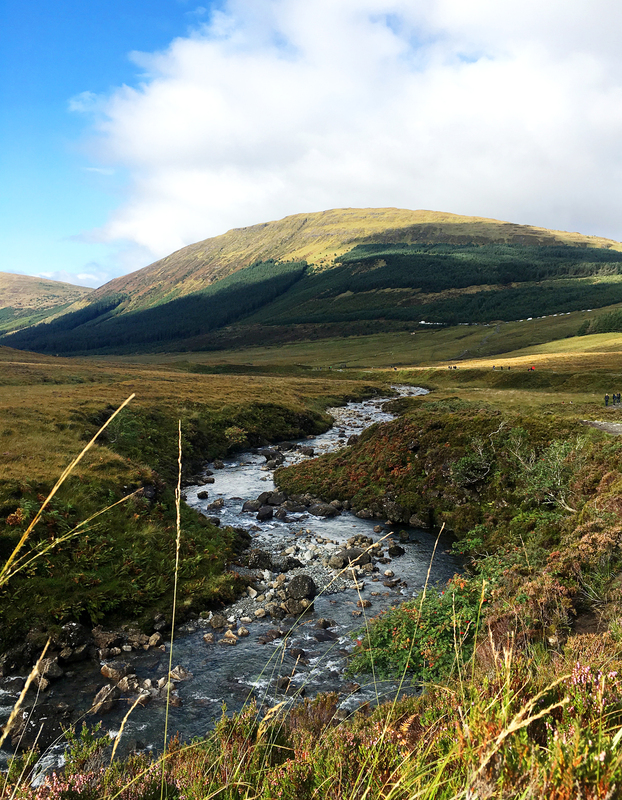 We didn’t stop to pay to go in, but we enjoyed the view from the car whilst we ate our packed lunch – haggis rolls! 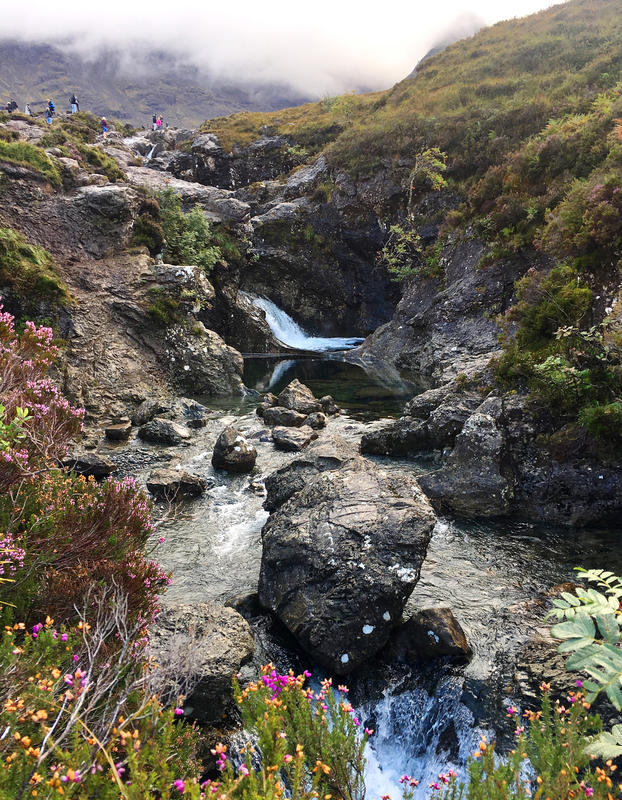 Fairy Pools – beautiful collection of waterfalls in the hills of Skye. 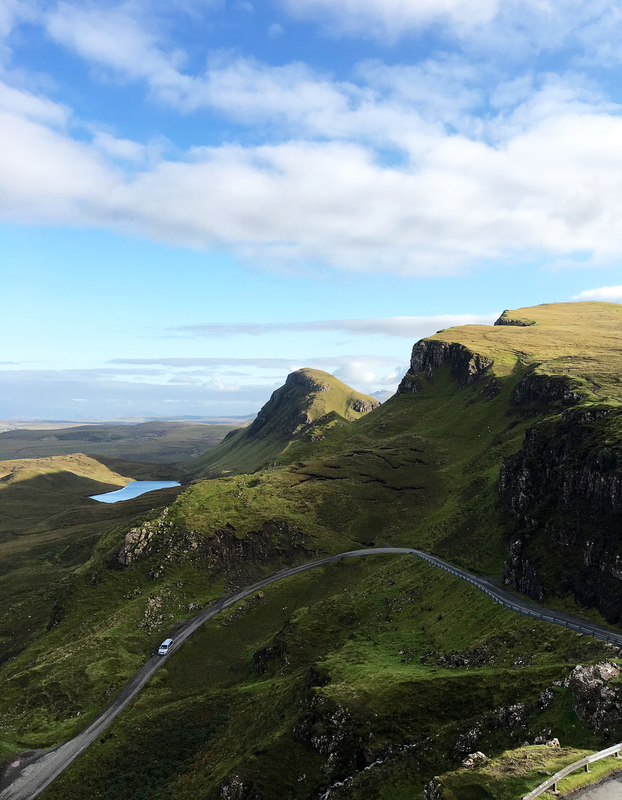 Quiraing – landscape and views out of this world! 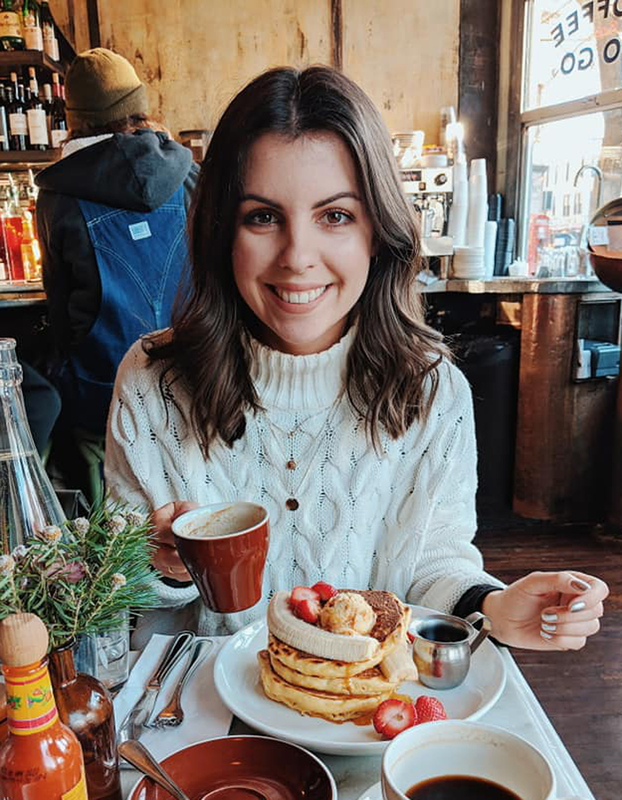 Talisker Distillery & The Oyster Shed – a fantastic Scottish whisky tour and bite to eat. 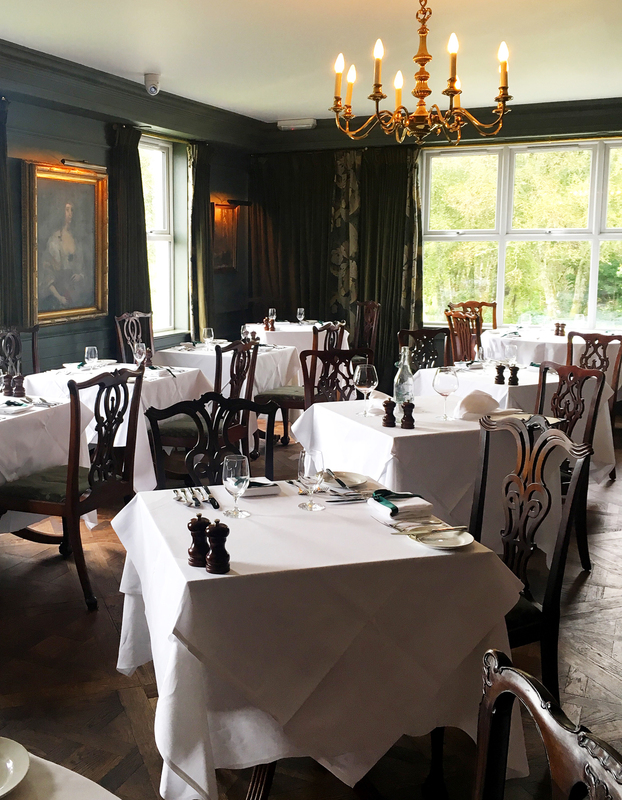 Kinloch Lodge – pricey, but an amazing glimpse at Michelin Star food, in a stunning Scottish lodge. 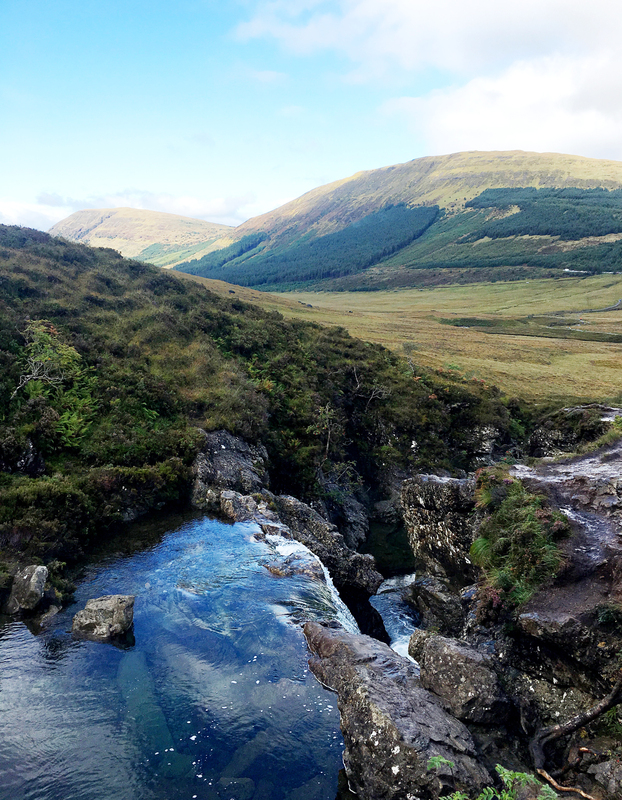 Skye – ALL of it! Isle of Skye was our favourite part of our entire two week trip.